Max Air unit in de hak biedt demping en schokabsorptie. Diepe flex-groeven laten je voet natuurlijk bewegen. Inlegzool van foam zorgt voor demping en een licht gevoel. Stevige rubberen pods met visgraatpatroon voor uitstekende boardfeel. 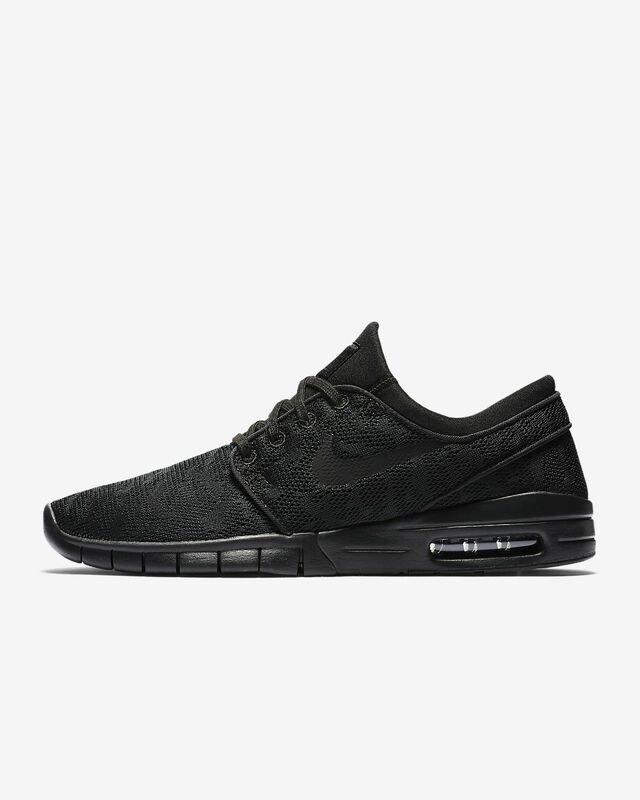 This shoe was made for "everyday use"
The Stefan Janoski is a sporty yet classy shoe. The Air Max element within the shoe is a key design within the comfort. I wear these when I do choreography for musicals, when I am exercising and when I have long school days on my feet and I could be happier. The shoe offers a one piece upper with side panel wrapping so you do not have the constant struggle or annoying feeling of the shoes tounge falling around on you. An issue and frankly the only noticeable issue within the shoe is most liekly a factor mistake within my left shoe in which it feels as if their is a bump in the arch of my foot. I would highly recommend to any athlete wholikes to stay classy, they look well with the jeans and/ or joggers just as they do with shorts.